I love making cute crafts for kids and giving inanimate objects life! 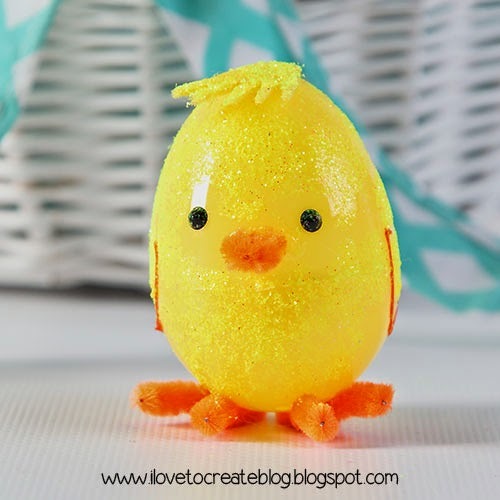 When I saw this pink plastic Easter egg, I immediately envisioned an adorable Easter bunny. This is a great project for the little ones, but they made need some help from Mom or Dad to do some of the fine details like cutting! 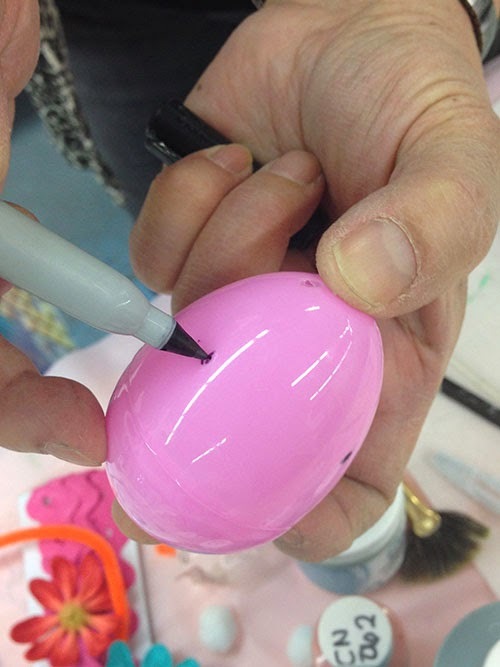 Draw two dots with your permanent markers on the sides of your egg. Use an cutting blade to poke holes through the dots you just drew. Cut two 4" pieces of white pipe cleaner and poke through the holes making a loop. Add a dot of tacky glue to the back of the bunny and add your white pom pom. Cut a little felt shape for the feet and glue onto the bottom. 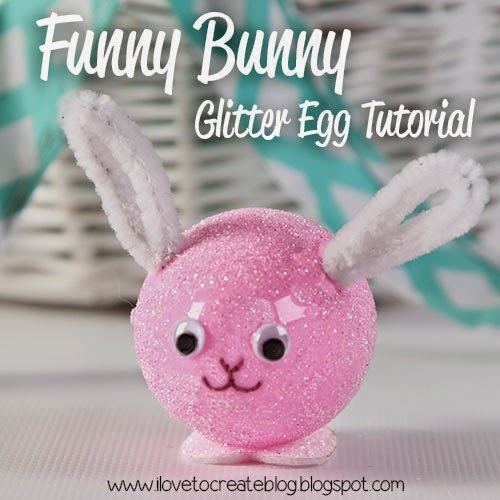 Add a little glue to two spots in the front of the egg and apply googly eyes. I used a crayon to pick it up and apply. Add a cute little nose and mouth using the permanent marker. 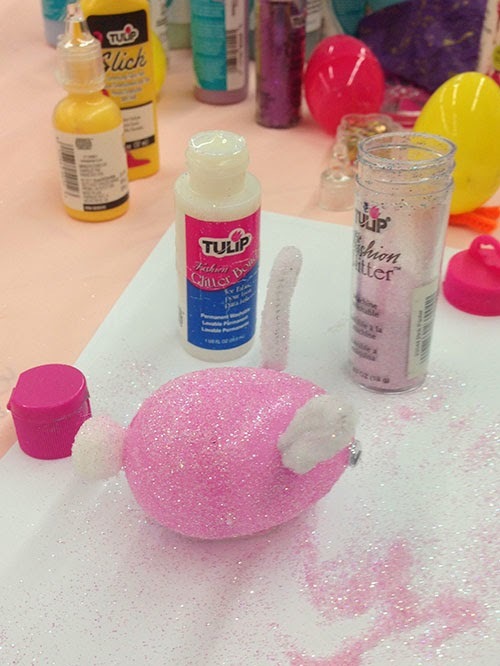 Apply a coat of Tulip Glitter bond using a small foam brush on the exposed plastic part (not the eyes, pom pom or pipe cleaner), and shake on pink Tulip Fashion Glitter in a coodinating color. It gives a pretty tone on tone sparkle! Here's another cute one I made to look like a baby chick. This is a very similar process, you just draw on the wings with Tulip Dimensional Fabric paint (a.k.a. Puffy Paint)....and you glue some yarn on top for the hair. He's so tweet, isn't he? ?